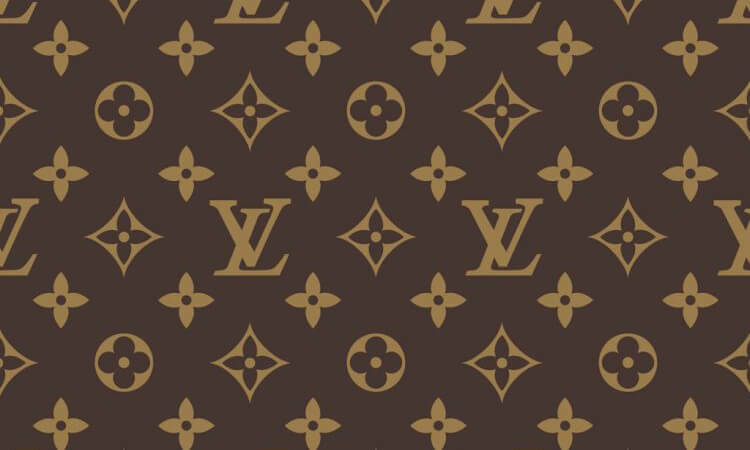 I didn’t intend to use Louis Vuitton as my case study for the visual elements of branding but then I found this beautiful image in the header featuring the iconic symbols and realized that with these few graphic elements, the message of the brand was communicated. This sums up the power of branding. 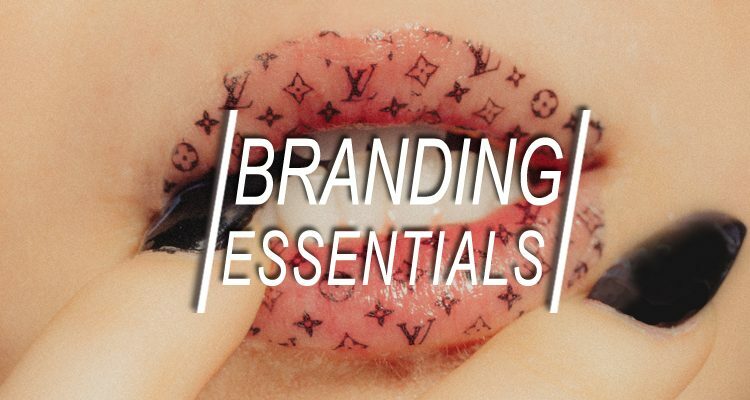 So, with Louis Vuitton in mind, let’s look at the essential elements of a brand. A logo is the backbone of your visual brand. The logo usually encompasses the name of the company and adds some visual elements to make it easily recognizable by your audience. The colors, the font and any supporting graphic elements should all come together to make a distinctive look. Louis Vuitton uses just the name in text which makes it timeless. Uses: A logo would be used in your website header, on your business card or letterhead, and any signage if you have a brick and mortar storefront. Most designers will provide you with a variation of the primary logo. Since your logo has to be adaptable to different applications, this version gives you flexibility. The logo variation could be vertical or fit nicely into a square or circle, or it could have a texture or shape associated with it. Uses: Your logo variation can be used in secondary applications like on social media or product packaging. A submark is used when a smaller version of the logo is needed. It often includes a graphic or the initials of the business which then stand alone in identifying your business. 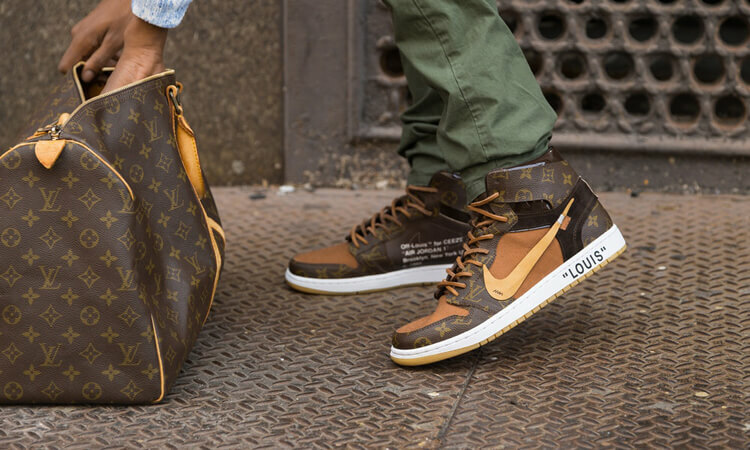 Louis Vuitton uses the initials LV and other graphic elements as seen above. These have become so iconic that the submarks alone used as a background or on a bag can identify the brand without the use of a logo at all. Uses: A sub mark can be used as a watermark on photos, a website favicon, or as a profile image on social media. We all know that color has the power to express mood, in fact, there is a whole science behind color theory. Your brand colors are key in communicating to your audience who you are: classic, youthful, professional, etc. 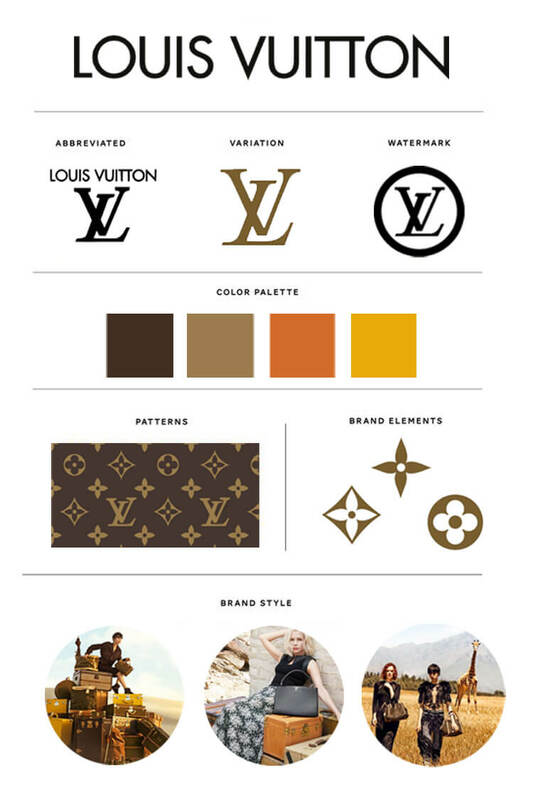 Louie Vuitton’s colors are brown, tan, yellow, and orange which evoke the desert and travel, which is cohesive with their ethos. Uses: Color should be consistent across the entire brand, from the colors of your logo to the tone of the photos on your Instagram grid. The style of font a brand chooses is important, not just to the logo, but throughout the brand. Fonts can be feminine, classic, or modern so they should well reflect your company. 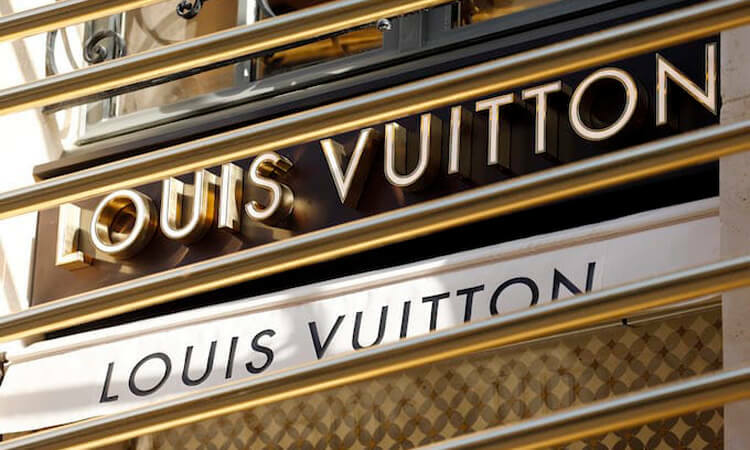 Louie Vuitton uses the classic Serif font for their LV logo but have moved to a more modern, sans-serif font for their signage. Uses: Consistent font use is important across all mediums: website text, logo, product packaging, etc. Patterns are not always included in a designer’s package but they can be a fun and useful element to a brand. Uses: Patterns can be used in the background of a website, on tissue paper, or on a social media banner. A designer will generally provide you with a brand board which includes all element of your visual brand in one document. This will remain a touchstone for you or another deisgner who continues representing your brand. This one above that I made for Louis Vuitton is just for fun but most brand boards should include the nitty gritty details such as font names and color web or print codes. With these elements firmly in place, your brand will be well placed to make a powerful impression on your customers!